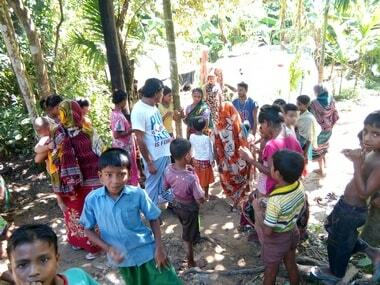 Residents of Chikanchari in the Rakine state of Myanmar had a miraculous escape from Rohingya militants who had butchered inhabitants of neighbouring villages. 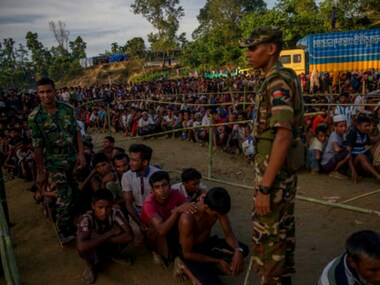 Myanmar defended deploying fresh troops to a border zone with Bangladesh where thousands of Rohingya refugees are camped, blaming a militant threat. 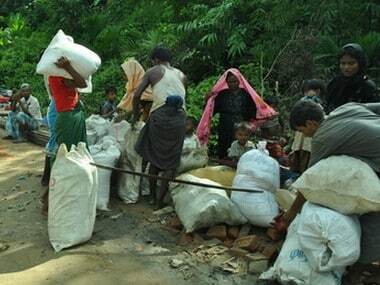 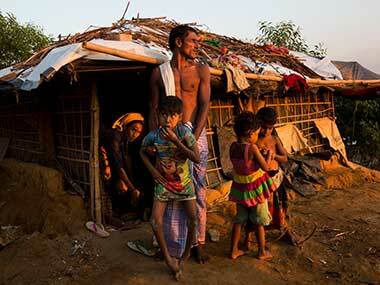 Myanmar has said that 508 Hindus are among around 1,000 refugees cleared for the first batch to be repatriated to their homes from Bangladesh. 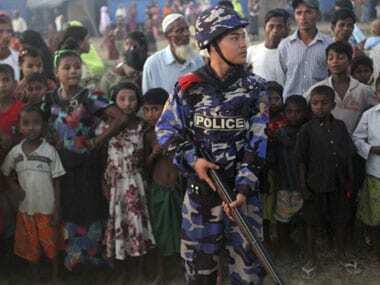 Myanmar said on Thursday that it has asked Bangladesh to arrest and extradite more than 1,300 Rohingyas suspected of taking part in a rebel assault against government checkpoints in Rakhine state in August last year. 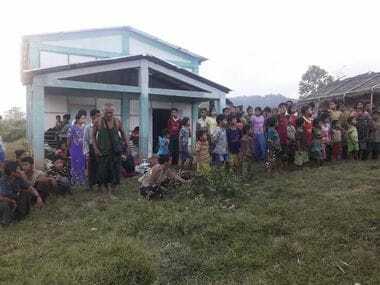 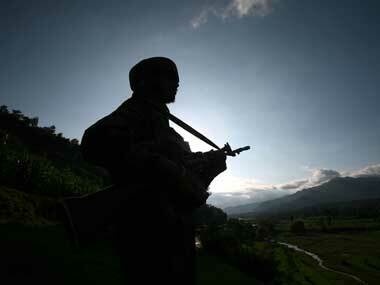 Rohingya rebels on Sunday claimed responsibility for an ambush on Myanmar security forces that left several wounded in northern Rakhine state, the first attack in weeks in a region gutted by violence. 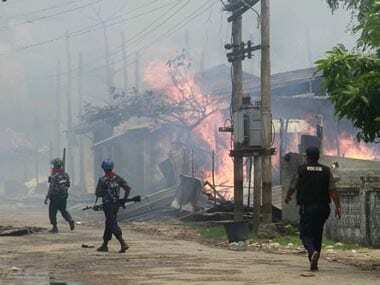 Rohingya Muslim insurgents ambushed a military vehicle in Myanmar’s Rakhine State, wounding five members of the security forces, state media and officials said, and the rebels claimed responsibility for the rare attack. 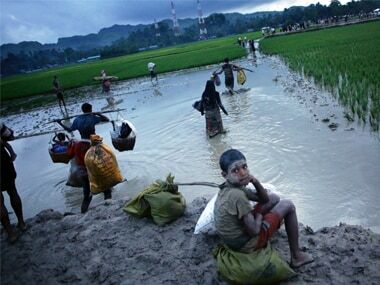 The influx of Rohingya refugees to Bangladesh could fuel terrorism and drugs, Bangladesh information minister Hasanul Haq Inu has warned. 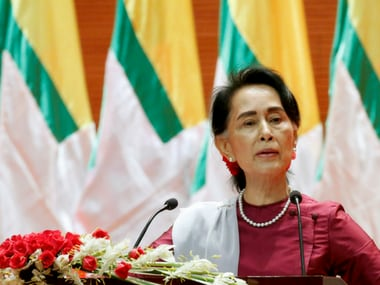 A total of 51 countries will participate in the 13th Asia-Europe Foreign Ministers' Meeting, opening on Monday in Myanmar's capital city of Nay Pyi Taw.